Hello fellow Spark EV owners. 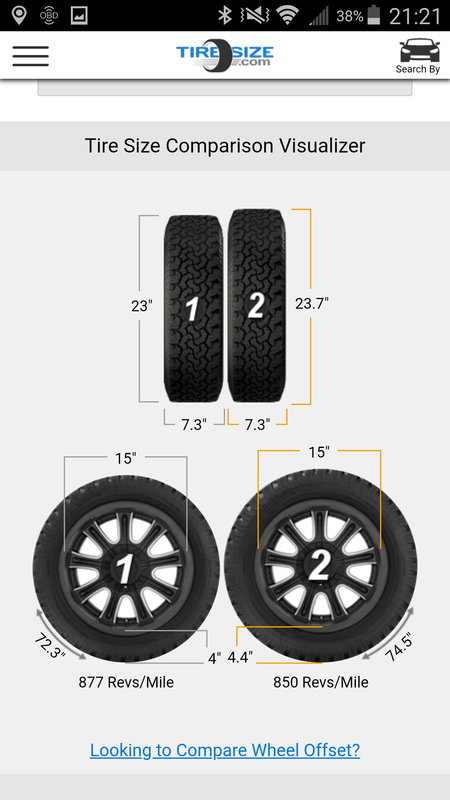 I have read a few of you have at some time run the 195/55r15 tire size up front and also read that this tire size does indeed fit up front. My question is what difference did you see to your efficiency? Its only 1.3% difference, but did that translate into something noticeable? Or did you almost notice nothing. My plan is to run the 195 size on all 4 corners like some have and am considering the General Tire RT43. Its affordable, light weight and probably better than the sucky tires I have on now. Thanks for your time and sorry if this question was asked before but I could not find any efficiency info on those who have run this size. Stock front wheels w/ 195's on all 4 corners. Re: To anyone who has run a 195/55r15 tire up front. I believe it should be quite possible to fit those up front (and feel I remember someone did them on the stock wheels?). Once my fronts are done (new ones came with the car a couple mos ago), I'm hoping to get new wheels and run 205/50-15 all around. As far as efficiency, I'm guessing the model of tire matters much more than the size. If you were to run the rear size of the oem Ecopias all 'round, then your calculation (if not accurate) is at least relevant. But as soon as you talk about another model tire (eg, one with any actual performance capabilities), then it becomes apples and oranges. I think people with tire upgrades have reported losses typically in the 10-15% range? Which for me would only mean being less able to skip days for charging. That's what I run on 0.5" wider (and much lighter) wheels which now allows me to rotate the tires properly. (but I haven't yet). I really didn't notice a big hit in range. Definitely not 10%. I do notice a slightly sportier feel,, but how do you quantify that? evolv wrote: I believe it should be quite possible to fit those up front (and feel I remember someone did them on the stock wheels?). Once my fronts are done (new ones came with the car a couple mos ago), I'm hoping to get new wheels and run 205/50-15 all around. Ya it quickly becomes an Apples to Oranges affair. 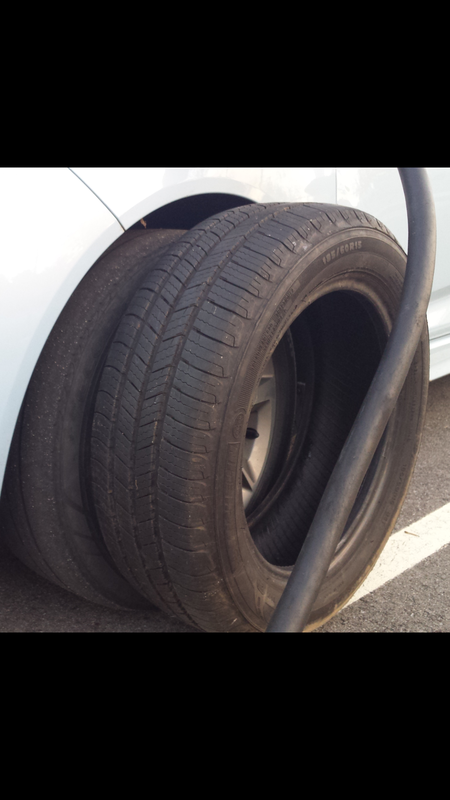 I read here somewhere that the width of the tire quickly becomes the enemy with regard to efficiency. With this in mind I'll go no larger than bringing the rear 195 size up front. 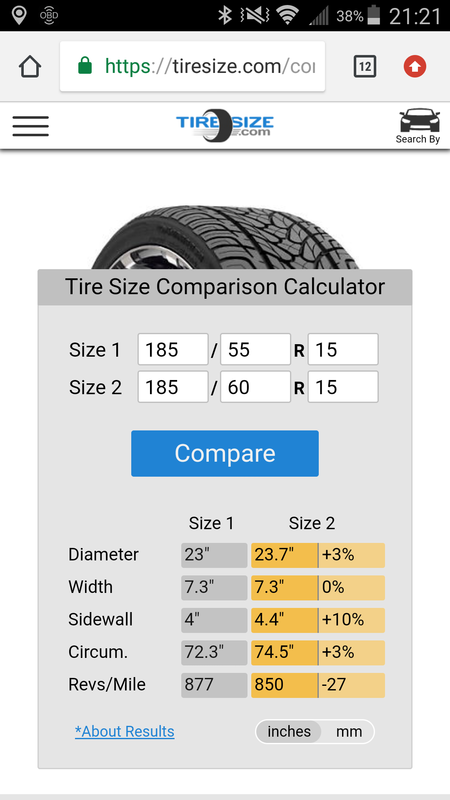 My current tires are not the original, nor are the LLR and I am getting great mi/kwh with a 420 A A rating so my hope is that a well made 600+ A A rated tire will give me similar results. Ill probably run them at like 40-43psi. This RT-43 also comes in a 185 width so if my rear size up front plan tears a hole in the Matrix I'll move them to the back and buy the 185 for up front and get back to life. evolv wrote: That's what I run on 0.5" wider (and much lighter) wheels which now allows me to rotate the tires properly. (but I haven't yet). Can I ask what offset your wheels are for fitting on all 4 corners please? StEVen wrote: Can I ask what offset your wheels are for fitting on all 4 corners please? Looks like 35 mm offset works. Check out that weight per wheel! I got them from a fellow forum member. Tires installed, but the wrong TPMS sensors. I had the sensors swapped out and took the wheels home with the tires unmounted to paint them with a 'plasti dip' like paint a 'Granite Gray'. Could not see me driving with bright gold wheels. I may install the new stock LRR tires on the original wheels someday. At that time I'll have the data to see any difference in range. Last edited by oregonsparky on Thu Nov 15, 2018 3:01 pm, edited 1 time in total. This will be about a 3% increase in overall diameter. Width is the same at 185 so this will be a great test. Your speedo will read about 2mph faster so keep that in mind. Keep us posted. Got the 185/60/15 Michelin Defenders today..... Not sure they're going to work. Specs looked fine on paper (or more accurately, web page )...... but physically next to one another.... Looks like it will be a tight fit, I'll see if I can have them put on tomorrow.